Fourth-generation chef and restaurateur Christopher Czarnecki and his wife Mary will double their culinary investment in Dayton, Oregon by opening The Barlow Room Restaurant and Bar. The Czarnecki Family has announced the upcoming launch of The Barlow Room Restaurant and Bar, slated for early June, just three blocks away from their world-renowned, fine dining restaurant, the Joel Palmer House. "The Barlow Room is a perfect complement to what we currently offer at the Joel Palmer House and gives us the opportunity to cook what we love, even when it's not at the fine dining level," says Chef Czarnecki. "The Barlow Room will still deliver on our high quality standards, but at a more modest price point." The Barlow Room, located on a historic block across the street from Dayton's Courthouse Square Park, will feature exposed brick walls, historic photos, and picture-window views of the downtown park. The menu is still being finalized, but the Czarnecki Family remains committed to sourcing meat and produce from the surrounding Yamhill Valley and are excited to offer creative dishes focused on local flavors. Definite contenders for menu placement include mouthwatering steak bites with house-made steak sauce and fried onions, a tasty House Reuben crafted with made-from-scratch corned beef, and a Grilled Veggie Sandwich with fresh-from-the-farm produce, toasted to perfection. What's the inspiration for the name? The answer is rooted in Oregon's rich history and the legacy of pioneer, Sam Barlow. Barlow and fellow pioneer, Joel Palmer, joined the westward migration to Oregon and together blazed a new trail over the Cascade Range that became known as the Barlow Road. Although Barlow continued on to Oregon City, Palmer subsequently founded the city of Dayton, Oregon and build the house that is now the home of the Joel Palmer House restaurant. The Barlow Room is a comfortable and historic restaurant and bar with additional seasonal outdoor seating located in the heart of Oregon's Willamette Valley wine country. The restaurant features a casual dining menu, inspired by Northwest cuisine, with a distinctive yet classic cocktail, wine and beer selection. The decor is inspired by the Oregon pioneer spirit and local history. The exposed brick walls showcase historic photos of Dayton and the local area, providing a sense of history, tradition and pride. The Barlow Room will be open for lunch and dinner five days a week, Wednesday through Sunday, from 11:00 am to 10:00 pm. Gift Certificates are always be available and The Barlow Room also offers off-site catering services for local events. The Joel Palmer House’s innovative and exciting menu features choice local produce, wild mushrooms and Oregon truffles. Chef Christopher Czarnecki and family strive to incorporate seasonal ingredients and use many locally grown vegetables, including many from their own on-site garden. Chef Christopher Czarnecki has created a tantalizing, creative menu that marries perfectly with the world renowned Pinot Noir of Oregon’s Willamette Valley. Of note, the Joel Palmer House ranks as one of Oregon's finest historic homes and is on the National Register of Historic Places and the Oregon Historic Register. Built in 1857, the house is Dayton's oldest standing structure. When weather permits, guests can enjoy their dinner on our outdoor patio, soaking in the last rays of sunshine in the heart of Oregon Wine Country. The Barlow Room is a comfortable and historic restaurant and bar located in the heart of Oregon's Willamette Valley wine country. The Joel Palmer House’s innovative and exciting menu features choice local produce, wild mushrooms and Oregon truffles. 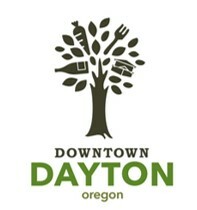 Located in the heart of Oregon's Willamette Valley, Dayton has a rich pioneer history, with 41 places on the National Historic Registry.